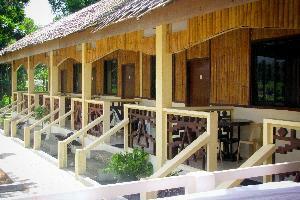 Maribert Inland Resort is on of th beautiful resort located in Capiz, Philippines. Before it was developed, it was a rest house or a bahay bakasyonan of the Family Alcazaren. Isla Verde Tropical Friendly Resort is located on Verde Island, Batangas, about an hour and a half by bus from Manila and a short ride by Banca from Tabangao.